San Francisco often tops the list of cities with the most volunteer hours by population. 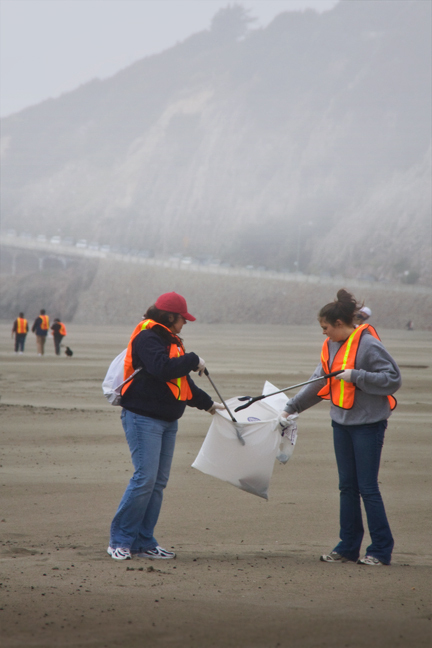 So in 2007, when the tanker Cosco Busan spilled 58,000 gallons of oil into the San Francisco Bay, thousands of locals appeared on area beaches to help in the clean up effort. Those people were dismayed to find that the public agencies refused their help until the volunteers had taken a minimum of 24 hours of classroom training and received OSHA certification. 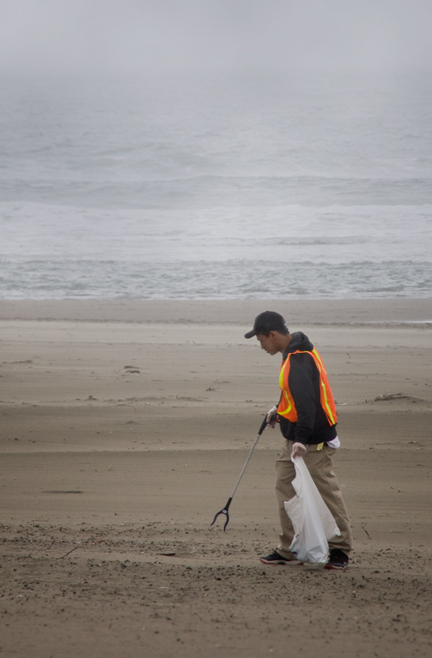 Instead, they directed volunteers to clean non-contaminated beaches. This delay and red tape during an unfolding environmental disaster outraged many and after significant pressure from would-be volunteers, OSHA reduced the requirement to a four-hour course and certification. Eventually volunteers were able to assist in the shoreline cleanup. They also collected and cleaned over 1,000 oil-soaked seabirds and a number of marine mammels. 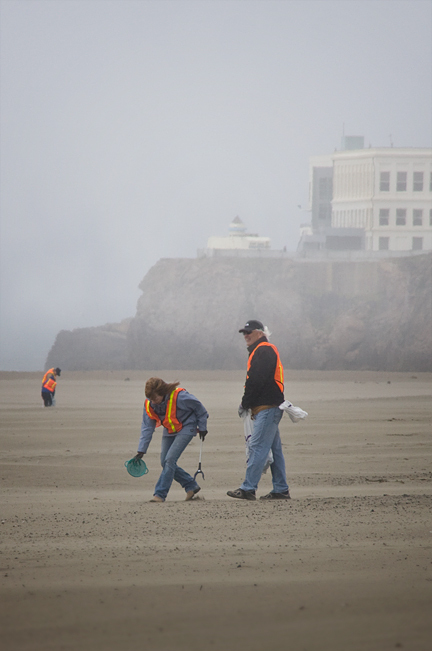 Pictured above are San Franciscans taking part in last Saturday's volunteer clean-up of Ocean Beach.